Spain has quite a few gothic attractions and the Cartuja de Miraflores at Burgos is one of the most important gothic monuments of Spain. The buildings were original built as a palace for Henry III of Castile in 1401, but his son John II of Castile gave orders to make it a royal burial place. 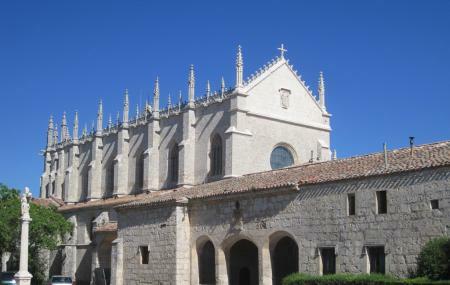 Finally, in 1441 the abbey was formed which then went through many renovations. From Divine to Beautiful Exhibition: This is a beautiful exhibition that displays art works from the 15th century. Chapel of Our Lady of Miraflores: The chapel allows you glimpses of Baroque frescoes which are beautiful to look at. Elevation of the Cross: This is a modern art piece done by Joaquin Sorolla. Apart from these, the Chapel of Blessed Sacrament is one of the most important landmarks of this spot. It has a large number of things that are charming to look at. If you are unable to find a suitable time during open hours and have a large group, connect with the body and they shall arrange something for you. How popular is Cartuja De Miraflores? People normally club together Museum Of Human Evolution Or Museo De La Evolucion Humana and Yacimiento De La Sierra De Atapuerca while planning their visit to Cartuja De Miraflores. Wonderful and very beautiful collection. Peaceful, beautiful and will only take 1hr to go round once you’re there. Well worth the 10 min drive from the centre to visit and has artwork and an altar that rivals the cathedral. Possibly one of the most peaceful and serene laces I have ever been to. Great little convent a couple of miles outside of Burgos. The building is lovely, it has some nice art, a wonderful altarpiece and lavishly decorated tombs of the king and queen who were the parents of Queen Isabella. Well worth the visit.